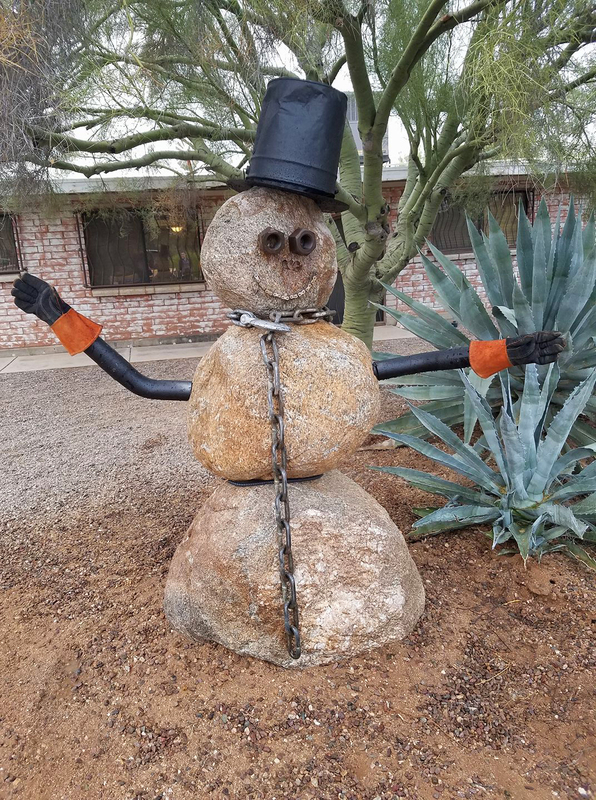 This fantastic snowman is the creation of a longtime family friend. He's insanely creative and has been self-employed for years, making one-of-a-kind pieces for anyone lucky enough to hire him. When he and his oldest son discovered their giant inflatable snowman from last year was dead, they came up with this idea. It's perfect for Tucson!